ILS is proud to announce that Dr. Les Recio, Vice President of Research and Development, has received recognition by the American College of Toxicology (ACT) for his paper, “Impact of Acrylamide on Calcium Signaling and Cytoskeletal Filaments in Testes From F344 Rat” as the Best Paper published in the International Journal of Toxicology in 2017! 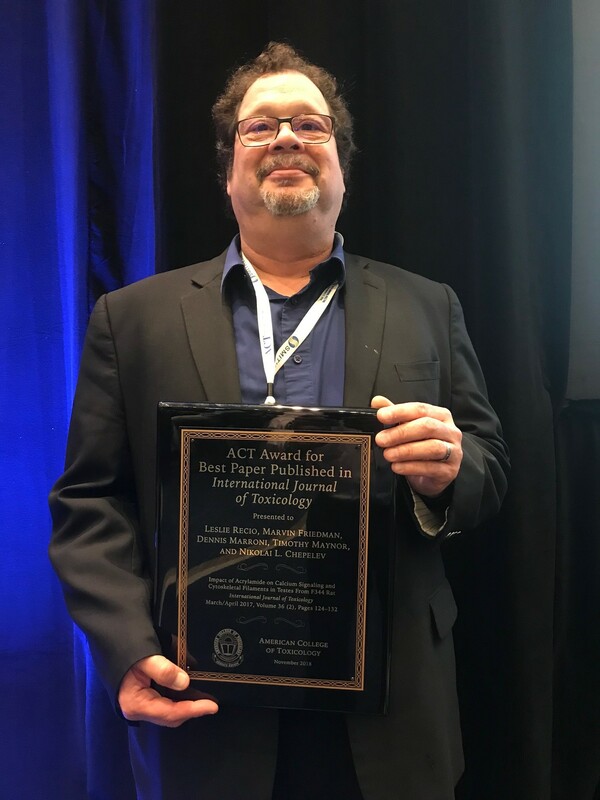 The award was presented at the ACT awards luncheon during the ACT annual meeting in West Palm Beach, FL, on Monday, November 5, 2018. Congratulations to Dr. Recio and co-author Tim Maynor on this outstanding achievement!